With Halloween creeping around the corner, the atmosphere is once again abuzz with the anticipation of the festive occasion. Looking for some Halloween inspiration but clueless on where to start? Fear not – we got your backs covered with these Top 5 Halloween Party Ideas that are guaranteed to amp up the spooky atmosphere anywhere! Planning to recreate those boo-tiful Halloween Make Up Looks? How about using face paint instead? Non-toxic, easily removable and gentle on children’s skin, swap your makeup kit with a face painting kit for your spooky transformations. Suitable for use on both the young and old, Halloween Face & Arm Paintings guarantee spooktastic fun at any party! 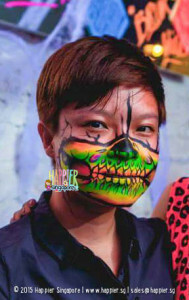 Check out our halloween face painting post for more ghoulist makeup inspirations! And if you have a completely new design that you’d like our talented face painters to recreate, consider your challenge accepted! 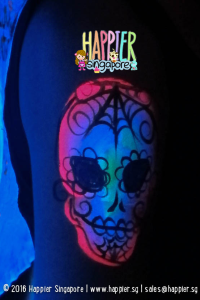 Looking to bring your Face & Arm Paintings to even darker depths? 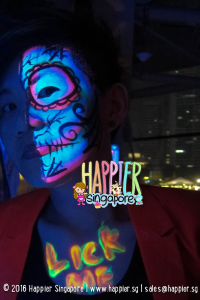 How about plunging into the Dark side (literally) with Halloween Glow in the Dark UV Face & Body Paintings? These eerie illuminations will redefine what it means to be truly creepy! Decked in spooktastic attire but somehow missing that extra oomph? 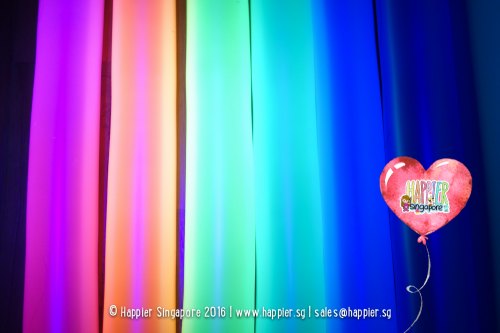 Customised Balloon Sculptures may do just the trick! From balloon princess gowns to lightsabers and even spooky balloon hats, balloon sculptures will make a great prop to complement your awesome costume! Not spooky enough? Glow in the Dark UV Balloons will definitely impress any ghoulish guest! If you need any live entertainers at your upcoming Halloween Party? How about balloon twisting? 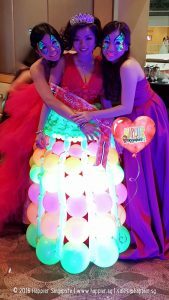 We have a talented team of balloon sculptors who will twist anything your heart desires! 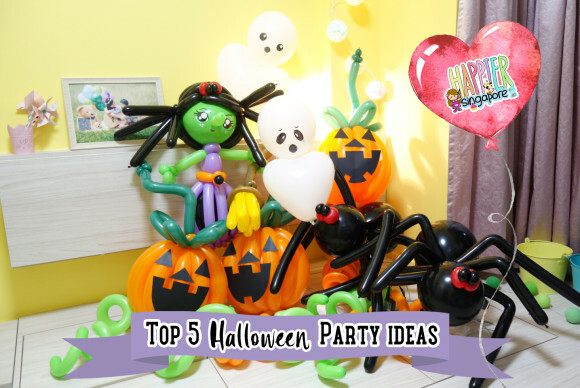 Balloon Decorations provides an unforgettable Halloween experience for your party guests! Be it a Jack-O-Lantern balloon arch as your entrance gateway, or fat venomous spiders draping off your ceiling, make your party the perfect spot for taking selfies and wefies! 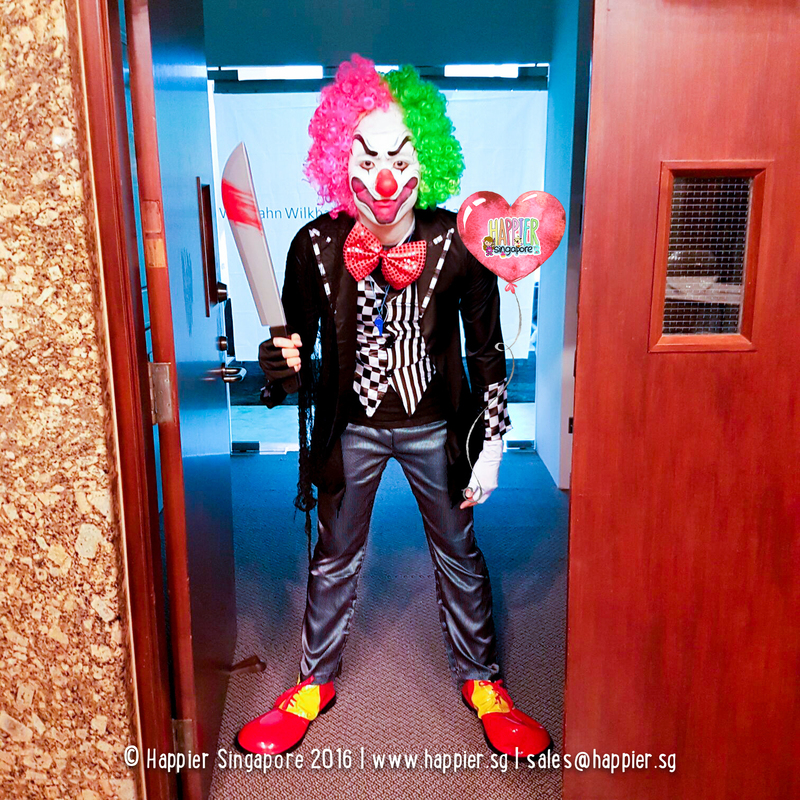 (5) Hire Creepy Characters to your ScareFest! Warning: This is definitely not for the faint hearted. Need some extra help to deliver that element of fear for the party? 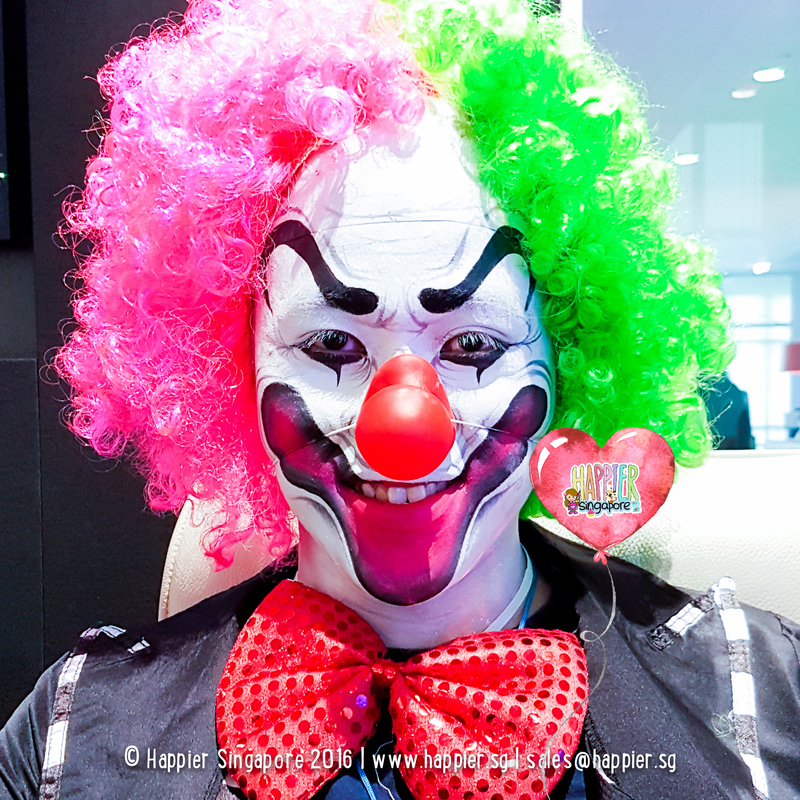 How about inviting scary characters such BOO, the killer Clown, to send chills down everyone’s spine? Or even to provide a first hand spooktastic horror experience? And I assure you, only BOO, the killer Clown will have the last laugh at these parties.